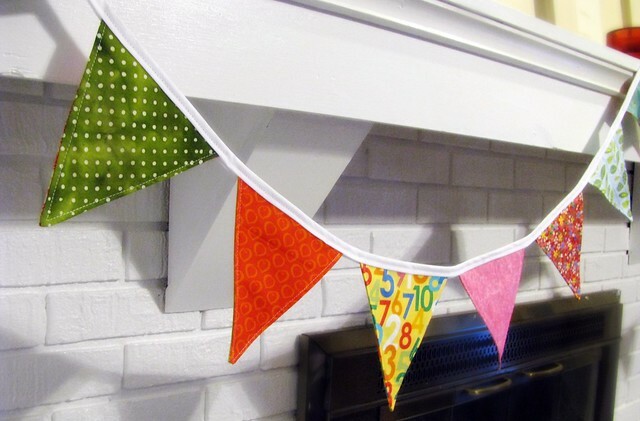 Pennants are EVERYWHERE, and no wonder — they’re cute, colorful and a great way to say, “Today is special!” They’re also really easy to make. First, you need a template. Make a square of whatever size you like. 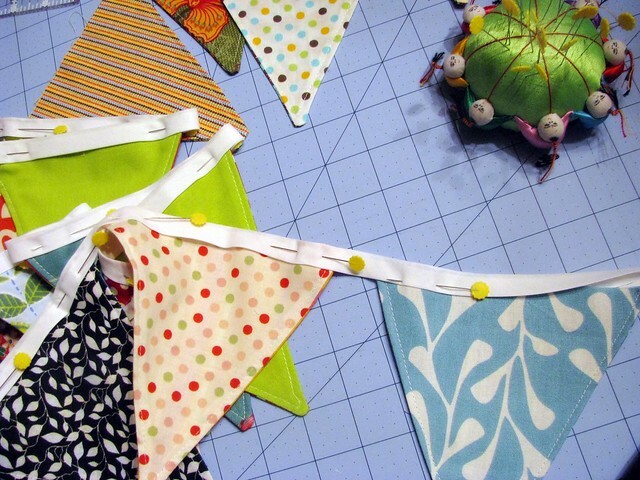 (Mine was 6.5″ because that’s the width of my wider cutting guide, and I think that made a nice size pennant.) 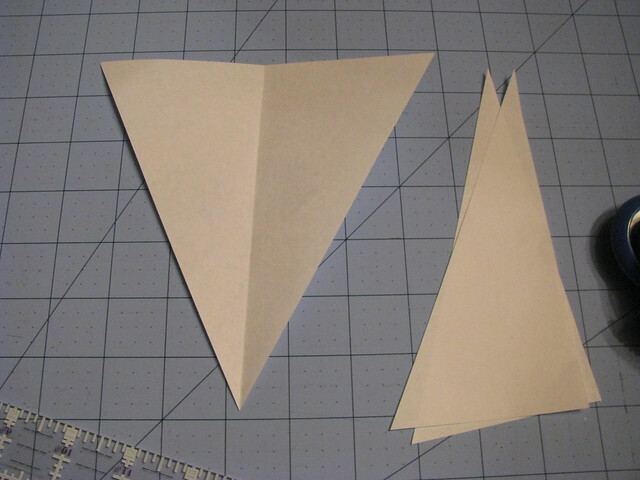 Fold the square in half, then cut on a diagonal. Open the paper again to see your pennant shaped template. Use this as your pattern piece and cut out a little stack of triangles. 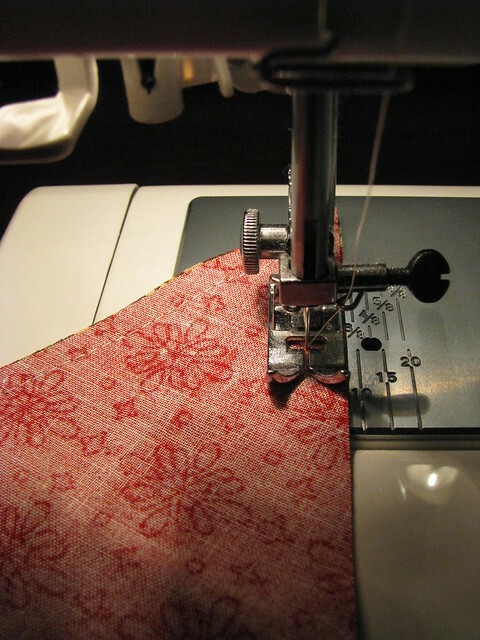 Take two triangles of fabric, place them right sides together, and sew along the “V” sides. I used two different fabrics for each side of mine. It gives a little more variety and made good use of my scraps. 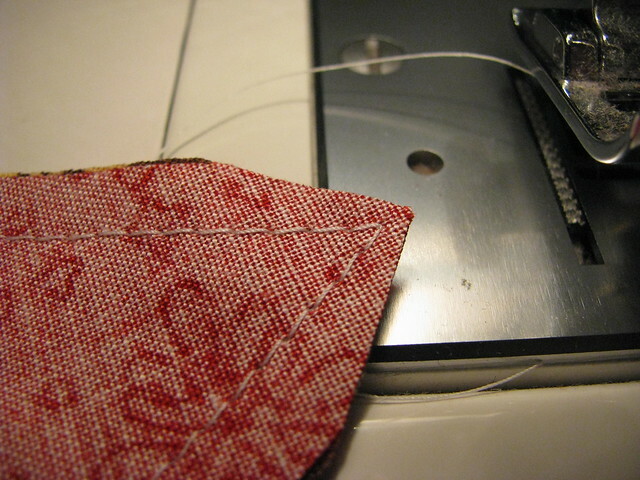 Then carefully cut along the point to get rid of excess fabric without cutting through any stitches. Turn your pennant right side out and press. You can leave it like this if you like, but I top stitched along the edges. I just like the look. 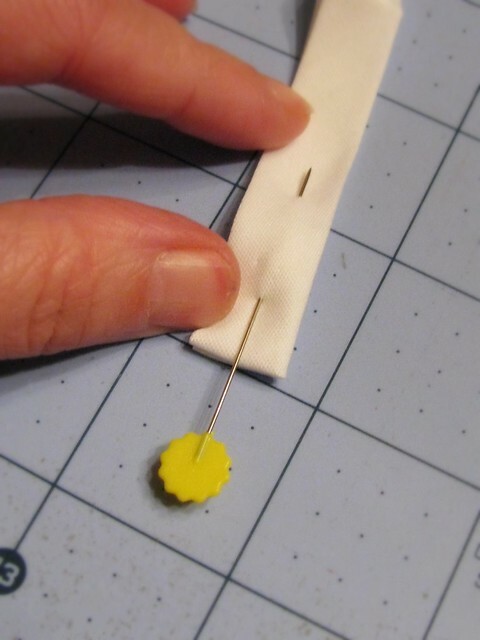 To string your pennants together, pin them into the fold of some 1/2″ double fold bias tape. My standard pack was three yards long. I left about an inch between mine, but you can bump them up together or space them further out, however you like. This string took 16 finished pennants. 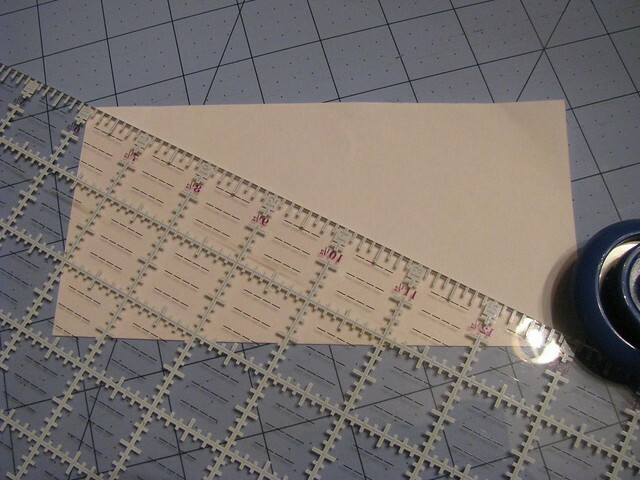 To make the ends look more finished, open the tape, fold a half inch or so up and then refold and pin. 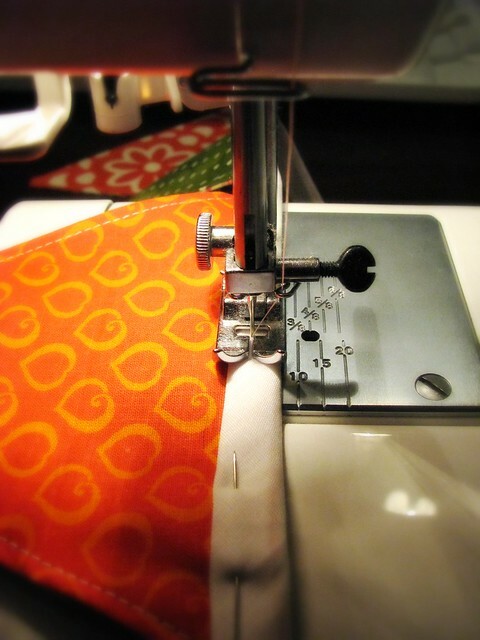 Start sewing over this point. 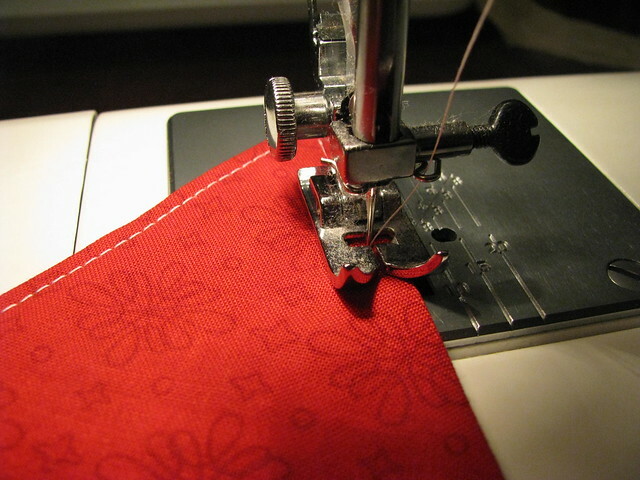 Then just stitch down the bias tape, and you’re done! Let me know if you make some, I’d love to see them! This is nothing but straight lines, so it would give her good practice! Sounds like she’s going to be making some pretty cool stuff, that’s awesome! Great tutorial! I have been wanting to make some of these as photography props. Thanks for the great instructions. Hey, I might even make one for Halloween!